Sometimes, I wish he would be just like my dad. 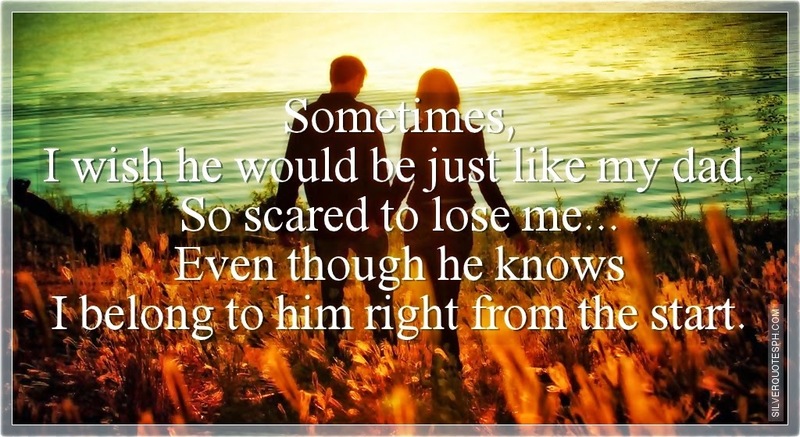 So scared to lose me... Even though he knows I belong to him right from the start.